This is fantastic. “I think Philbrick’s goal in this book is to dispel the comfortable myth of the harmonious relationship between settlers and Indians, happily sitting at a Thanksgiving table.” Anything that crushes that myth makes me happy. 🙂 Thanksgiving isn’t like the Charlie Brown special. 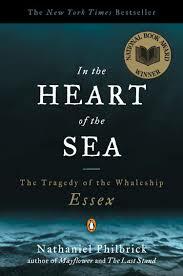 Great review and this looks like a great read. Hi Sarah! He’s a great writer and makes history fascinating, the way it should be. Thanks for commenting! 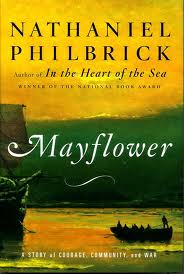 From the archives: Mayflower by Nathaniel Philbrick is an excellent account of early settlers and their arrival on the Mayflower, the bleak years of trying to survive and the settlers’ complex relationships with Native Americans, the trades they made and the many warring factions. A fascinating and very readable history book!